Ulwe Navi Mumbai. Near Bamandongari Railway Station. How Far is Aditya Sai Leela? Sai Leela is one of the Residential developments by Aditya Group and M/s. Bharti Construction Co. located in Navi Mumbai. 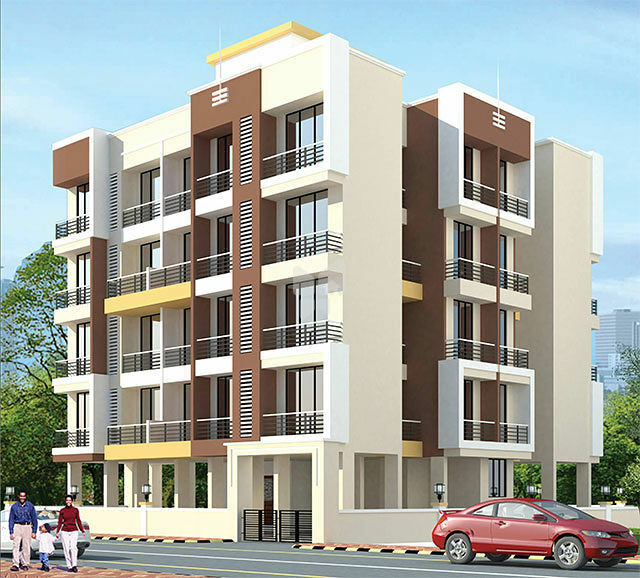 It offers spacious and skillfully designed 1 RK, 1RK+T, 1 BHK. The project is well equipped with all modern amenities and 24 x 7 security service to facilitate the needs of the residents. Sai Leela is a project in the most preferred locality with the finest of facilities to support the busy lifestyle of inhabitants. The high class fittings make sure a safe and robust infrastructure. The living spaces are excellently designed resulting in spacious utility areas making the inhabitants' routine life convenient. The project is Vaastu compliant for positive atmosphere and simultaneously ensuring natural light and proper ventilation in the apartments. These considerations make the homes refreshing and brighten the ambiance. In the premises there is a lot of open space for you to take a walk around and stay active. There are many such convenient facilities included in the project which are certain to capture your notice. Vitrified tiles in living, bedroom & kitchen. Granite Kitchen Platform with S S Sink. Glazed tiles in kitchen upto beam heights. W.C. and Bathroom full height glazed tiles. Main door with decorative sheets & Brass fittings, flush doors with laminated sheets. Bakelite door in W.C. & bathroom with powder coating. Decorative type main door with wooden frame. Good quality fittings and fixtures. Flush door with marble frame for all toilet and bathroom. Powder coated aluminium sliding windows with marble seal. Concealed copper wiring with modular superior brand switches. U/H & O/H water tank with adequate storage capacity. High quality lift of reputed company with power backup.